In keeping with our promise to advocate for autism acceptance, accommodation and appreciation, ASP officers started its journey to educate about 60 teachers and health volunteers from the municipality of Calaca on 28 October 2016. Headed by our chapter adviser and KTLC directress Teacher Mona Viñas, our team of 5 mothers and 4 CWAs visited the industrial area of Calaca, the town where the most number of autism cases were recorded in District 1. We talked about the basic information on ASD and gave testimonies on how early intervention and continuous therapy can positively affect cognitive development and behavior of children with autism. The local government promised to help reach out with the needs of indigent CWAs, beginning with free therapy. 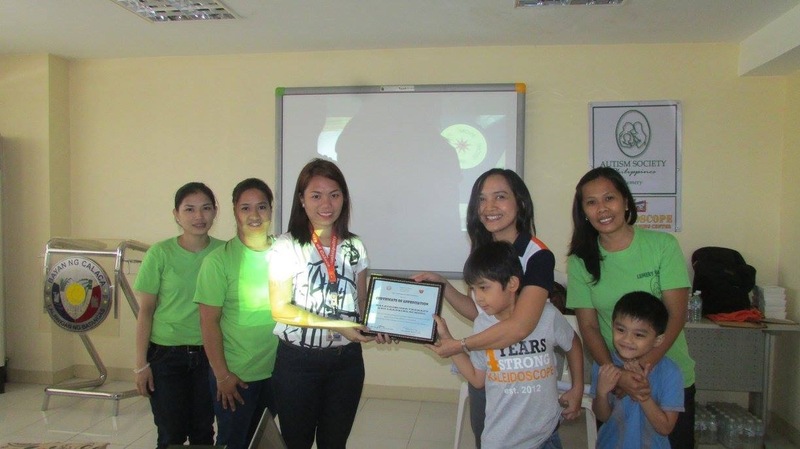 About the contributor: Rowena Suarez-Atienza is an Autism Awareness Advocate since 2013. Her 2 boys were diagnosed with ASD in 2012 and 2014 and from that time on, she became a front runner of awareness campaigns for the hundreds of Batangueno PWAs in her area. She leads a group of 160 parents by giving them support group, taking them to related-trainings & seminars and taking them to fun run activities. She also advocates sponsorship program with local government and industrial sector that support their indigent kids with therapies and early intervention program.